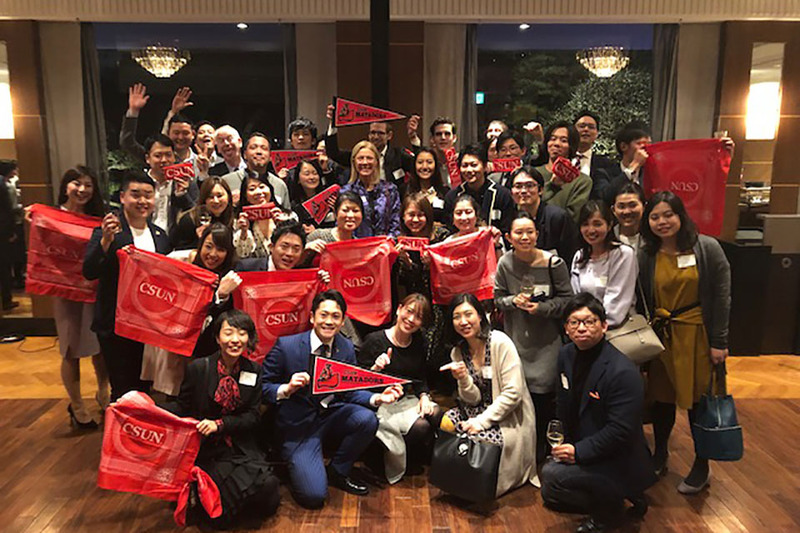 Eighty-two Matadors came out to join President Dianne F. Harrison at the California State University Alumni Reception in Tokyo on March 1. 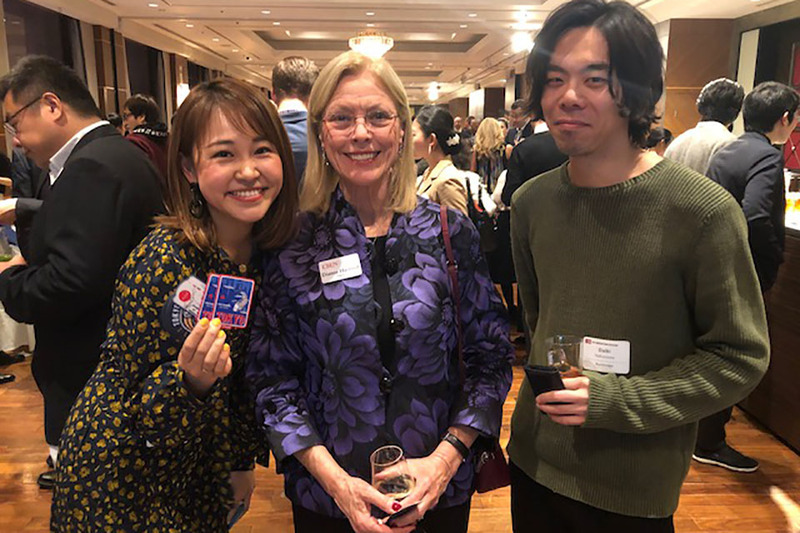 Matadors join President Dianne F. Harrison for a photo at the California State University Alumni Reception in Tokyo on March 1. 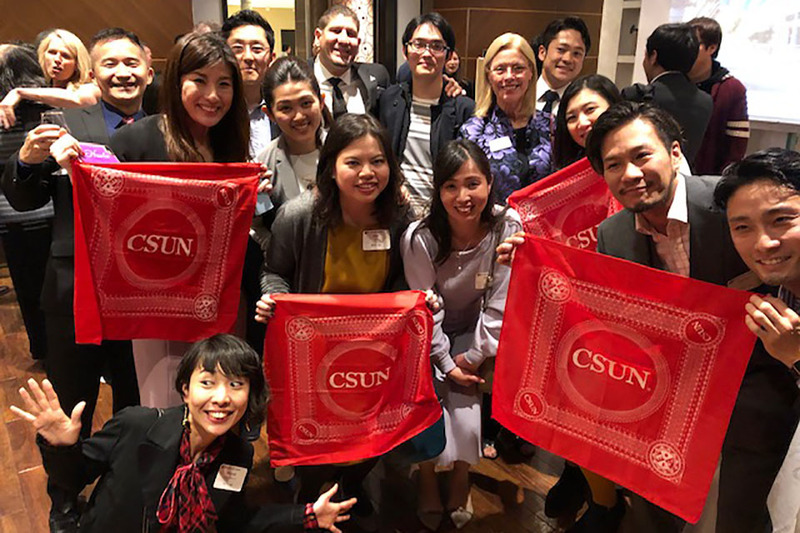 CSUN alumni came out in force at three recent California State University alumni receptions in Asia, showing the global reach of the university. More than one-fifth of all attendees at the receptions were CSUN alumni. 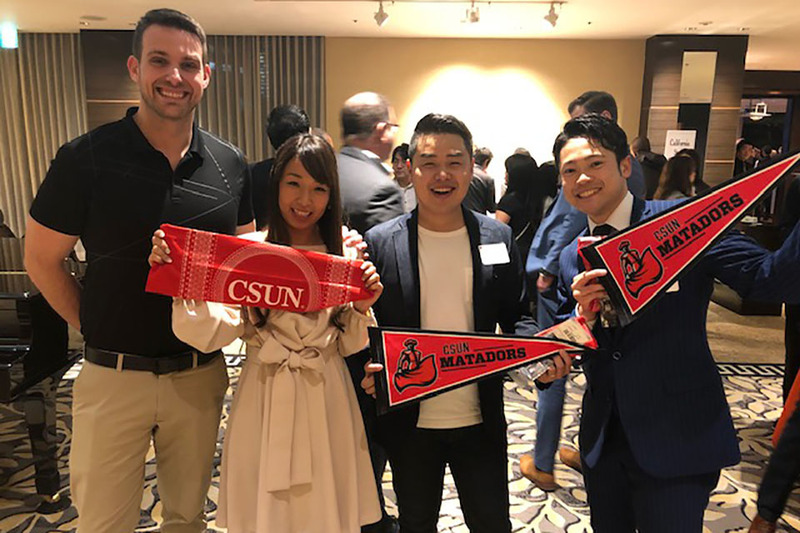 At the first-ever California State University Alumni Reception in Tokyo on March 1, more than one-third of all attendees were Matadors — the highest representation of any CSU campus. 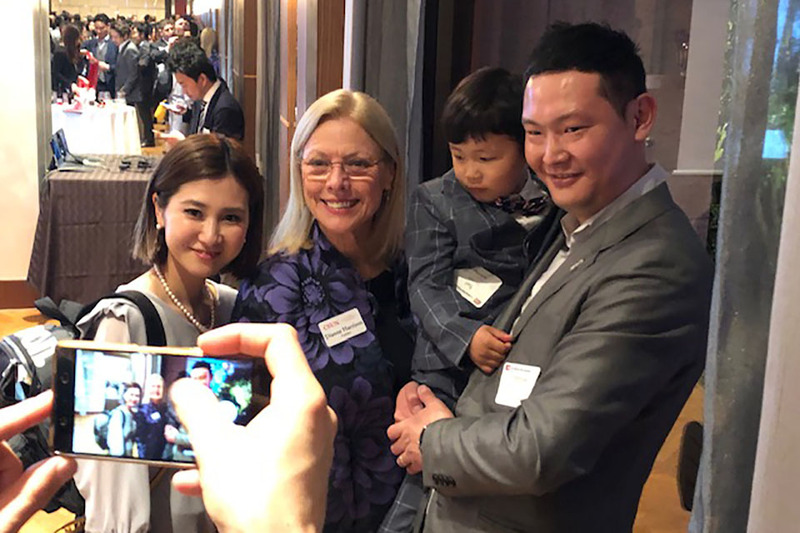 CSUN President Dianne F. Harrison and CSU Chancellor Timothy P. White attended the three receptions, including the second annual CSU receptions in Taipei on Feb. 23 and Hong Kong on Feb. 27. This response from CSUN alumni abroad underscores the university’s global impact. 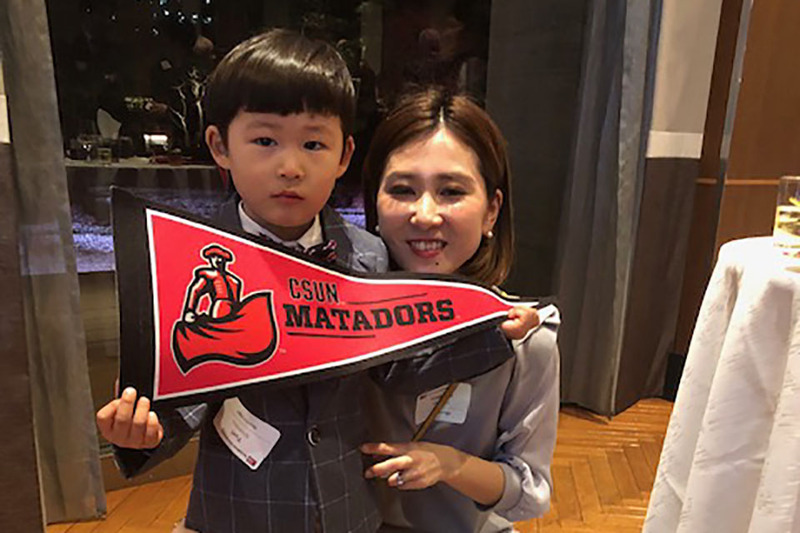 CSUN serves the third most international master’s students in the country, according to The Chronicle of Higher Education’s 2018-19 Almanac. CSUN has also had a long, fruitful relationship Asia. It was one of the first American universities to pursue educational and cultural exchanges with Chinese universities when the late-President James Cleary signed the institution’s first foreign student exchange agreement in 1981. In 1990, the Asian American Studies Department was created at CSUN. The department continues to thrive, nearing its 30th anniversary.